Kombucha. Heard of it? Everyone’s talking about it. It’s a delicious dose of liquid goodness for your gut. It can be sipped from the bottle, or even used as a mixer or alcohol-alternative in your favourite drink or cocktail. Versatile, eh? Available in three flavours (original, ginger and passion fruit), crazily good JARR Kombucha is low in sugar and contains beneficial acids, enzymes and antioxidants that help to aid digestion and support the immune system. After all, a happy and healthy gut supports a happy and healthy life. JARR Kombucha was established a few years ago, all thanks to a shared love for kombucha and a desire to start up a new, innovative business. 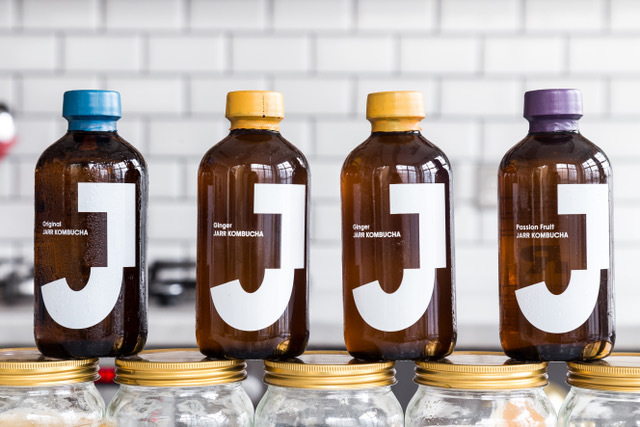 Once a small start-up business and now a fully-fledged company stocked in hundreds of eateries and food shops, from Oxford to Brighton to Harrods and Selfridges, the JARR Kombucha story is one to be admired, but also one which we hope has inspired you, too! At FitFest Oxford in June, the JARR Kombucha team will be hosting kombucha-making demos. Make sure you join them and get involved!